Gave up trying to be famous, hit the road for a year and a half, wrote Bring The Pain, job done.I’m back in the grind, back to gigging across the country and sometimes beyond amidst writing for various projects and all the exciting things that come with the goal of trying to become “bigger than Chris Rock”. I’ve got my work cut out for myself this year, I have to prepare a brand new hour for Edinburgh, a show in which I must deliver something special if I am to live up to all the hype of my last show, which was okay despite being void of an actual dinosaur impression or the infamous “Bollywood Jaws”.I love being a stand-up comedian, however, stand-up comedy is a business and I must deliver so that the arts trade fair that is the Edinburgh Festival puts me in the premium section of the comedy supermarket; a clever metaphorical retailer of humorous shenanigans whose description bodes well for the festival reviewer partial to the whimsical universe of badgers who have a penchant for jam products. The preceding sentence is an industry inside-joke, revealed to you by Wikileaks in an effort to subterfuge the pretentious insularity of those think they know it all.Again, I love being a stand-up comedian, I love my craft because not only is it so much amazing fun to have a vocation to bring humour and joy to an audience, but also because being a stand-up comedian is intertwined into my own personal philosophy of having ambition and pursuing a dream that brings people together. Forever the naive optimist, even when I try to be negative or fall into bouts of pessimism, a hardwired reflex to secretly work hard and hope for the best overrides any evidence of the impossible and forces me to step forward into the unknown and do what I have to do. Because of this, I feel that I have truly found my calling. And apart from the set-up and punchlines, apart from the silly faces and animated flailing limbs of a body popping praying mantis, the jokes in my set are simple passing attractions upon a journey of a much more important vision that I want to share. Ever get the sneaking suspicion that your life is not just for going to work, eating burgers and then dying?I learnt from Anthony Robbins that all life does is grow. We grow and then we die, but in the journey of growth, there are so many amazing things to experience and share, that embracing this is the source of true joy in life. Like the plants that adorn this planet, sustaining the food chain and permitting us to breathe clean air, we too must flourish by embracing our purpose. The fortune of the human being is the consciousness that inquires into the possibilities of how we can sculpt our lives and and our world. It appears though that very few of us choose to have this perspective, instead falling into line of the system in which we learn to regurgitate facts from text books, go to work to make just enough money to live from, whilst the system skims off your efforts and then takes those profits and does as it pleases with them, like building a moat around an MP’s house or funding a war with combatants that it armed in the first place. Perhaps Qui Gon Jinn should’ve left Anakin on Tatooine. I’m not a conspiracy theorist… that’s just a paranoid rumour…We all have a ambition, we all have passion, often kept secret from others for fear of ridicule that our dreams will be the subject of a mockery that actually says more about someone else’s lack of vision than about our own chances of success. I’ve found my calling, the vocation in which I can communicate everything I want to share with everyone else, that also allows me to tackle subjects that otherwise prove useful fodder for polarising agendas to divide and conquer the whole of society. I know this sounds naive, but I am reminded that the greatest triumphs of personal endeavour and global inspiration started in a single mind and heart until it transcended the insurmountable obstacles of disbelief and opposition to ultimately permeate the very souls of the many and irrevocably transform the very paradigm of possibility to all of mankind. I am but a mere comedian, but I have been inspired by incredible individuals who stared adversity in the face. Weakened and at a disadvantage, yet they came out enormously victorious and set an example for the rest of us. I’ve been inspired by the examples of various remarkable individuals, whose biographies I highly encourage that you read – Poor boy with a big broken nose from a poor family who sold him into an opera school, he went on topioneer comedy martial arts. 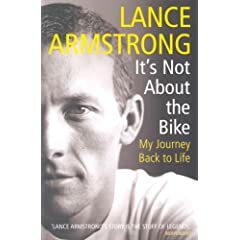 Triple cancer, was expected to die, refused to lose and beat the Tour de France seven times in a row by the biggest margin in history. Learnt to read and write in jail and copied out the entire dictionary by hand to improve his vocabulary. Took the NOI to the premiership, then left them. He wanted to build bridges with the rest of society, they assassinated him.During times of exploitation and genocide, mere individuals fought for civil rights, protection and education. Outnumbered and underpowered, whatever they lacked, they made up for in spirit, a spirit that has embossed upon our society the freedoms we take for granted today and a lesson of how to overcome tyranny with patience, passive resistance and civil disobedience that disrupted the systems that tried to impose something upon us that would never benefit the greater purpose of our lives on this planet. Governments have changed, hearts and minds have been won, and it all started out with a greater belief to forge a better world. A ninja will show his true strengthwhen he has to protect the ones he loves.To finally conclude, all I want to share with you is that you must flourish, you must tap into the incredible source of vision that exists within our innermost desire to attune with the greater purpose to blossom into our true nature as artists of living. We must flourish, each and every one of us must flourish, or we all collectively will perish. The power of change is not exclusive to politicians or the military, because although the powers that be can physically prevent and even eliminate individuals and groups, no force in the universe has power to stop the very ideas, dreams and beliefs of a better way that reside within the flesh and blood vessel of this human vehicle in which our consciousness resides. We must educate ourselves better to embrace this new life in which we become fearless as we step forward with the overriding courage of change. If this is all still too ambiguous, come to check out my new show in Edinburgh because if there is any one thing I want to say in my life, it’ll be in that hour show. Roll on August 2011, just don’t rain everyday please, K, THX.You don’t have to understand the lyrics, just watch this video and you’ll feel the power!